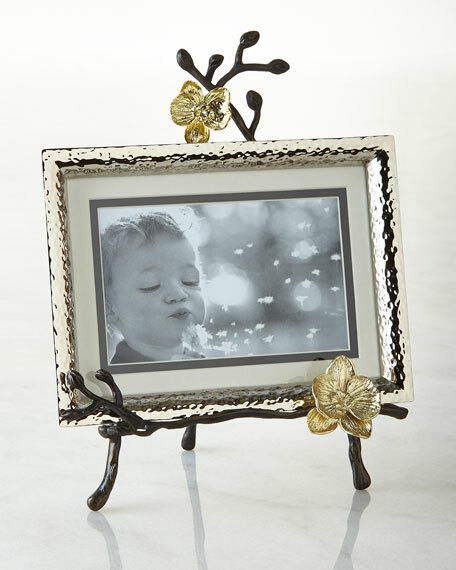 Frame made of brass-plated, nickel-plated, and oxidized metal. 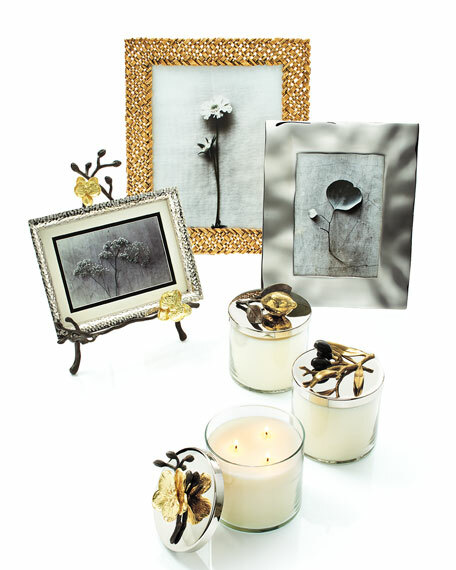 Variations and imperfections in the finish are characteristic of the creation process. Easel, 8"W x 9"L; frame 6"W x 8"L. Holds a 4" x 6" photo or a 5" x 7" photo.